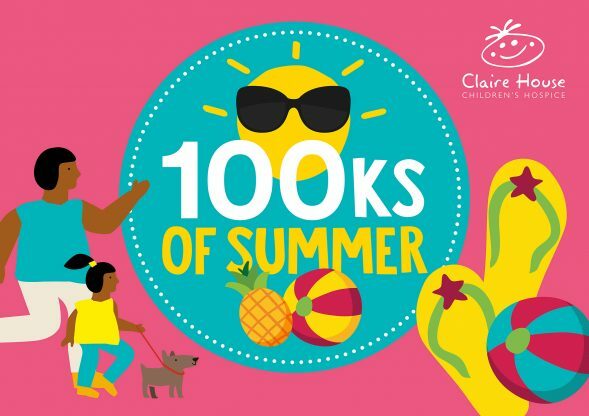 Over the 100 days of Summer, step out for Claire House and run, walk, jog or ramble 100 kilometres for your local children’s hospice. From 1k a day to 2 and a half marathons, we challenge you to cover 100ks in 100 days – your way! Registration is completely free. Just complete the form below so we can send you your fundraising pack. We ask each challenger to run or walk 100k between 25th May – 1st September and raise a minimum of £100 for Claire House. After you’ve completed your challenge, send us proof of your 100ks and your sponsorship raised. If you’ve raised £100 or more, we’ll then send you your super summery medal! How can I reach my 100k? You can do this however you’d like between 25th May and 1st September. Whether it’s 1k a day or 2.5 marathons, it’s up to you! How do I keep track of my distance? In your pack we’ll send you distance tracker to log your walks or runs. If you prefer, you can use your preferred iPhone or Android app, website or wearable fitness tracker. Your pack will include lots of ideas to help you fundraise, as well as a sponsorship form. We would also suggest setting up a JustGiving Page and fundraising online. By organising your own regime to run, trek or walk 100km within 100 days, you are responsible for ensuring that you are fit enough to undertake the challenge and are safe at all times when taking part. 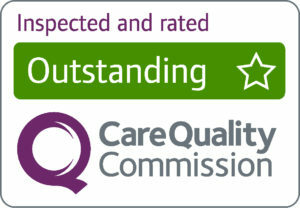 As you are taking part in your own time and this is not an organised event, Claire House Children’s Hospice cannot be held responsible for your safety in any way. If you have any queries at all regarding undertaking this endurance activity, you must consult with your GP before you plan to run, trek or walk 100km over 100 days. If there are any changes in circumstances that would impact your ability to take part, you must notify Claire House Children’s Hospice. By registering to take part, you are confirming that you are fit and able to run, trek or walk 100km within 100 days. If you are taking part as a family or if you are aged 15 years or under, Claire House must have written permission from a parent/guardian for the minors that are taking part. In order to receive your 100ks of Summer Medal, we first need to receive a minimum of £100 in sponsorship per person. Sign up to take part by enquiring below!